Brett is a high-caliber senior-level executive with a track record of building sales teams, leading their efforts and exceeding organizational goals. He brings 30+ years of experience in sales and marketing, new product development, consulting and training. 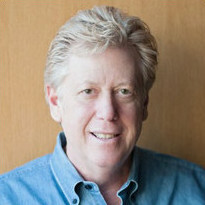 As VP and EVP of sales for organizations including Delta Dental and Aetna, Brett became well known for his record of success and productivity. Most recently, he played a key role as an equity partner in restructuring a private insurance company, where his work in sales, finance, IT and product development helped prepare the company for acquisition. He has also been involved in consulting projects for established companies and start-ups, including Kaiser Permanente, Connected Records, Hush Boutique, Self Health Network, and Dedicated Dental. With that managerial experience under his belt, Brett is highly capable when it comes to working with everyone from corporate CEOs to new hires. His background in strategic planning, team-building and training serves as a foundation for effective coaching, and Brett delivers feedback with honesty and insight as he guides clients through the training process. Call (847) 504-0108 today to speak with one of our presentation experts or click the “Get Help” button below. I highly recommend EMS if you are looking to improve not only your presentation skills, but also your phone voice, presence, attitude and confidence. Eliot and Eric are masters at creating a trusting and fun environment.